The FD makes for a stellar race and/or track day car. Only one problem. The seats are not nearly up to the task. Ronin has developed a side mount seat system offering greater mounting flexibility than any other available. Fore Aft adjustments have a 0.2" resolution (sliding upper portion aft reveals new holes) FAR BETTER than factory sliders. 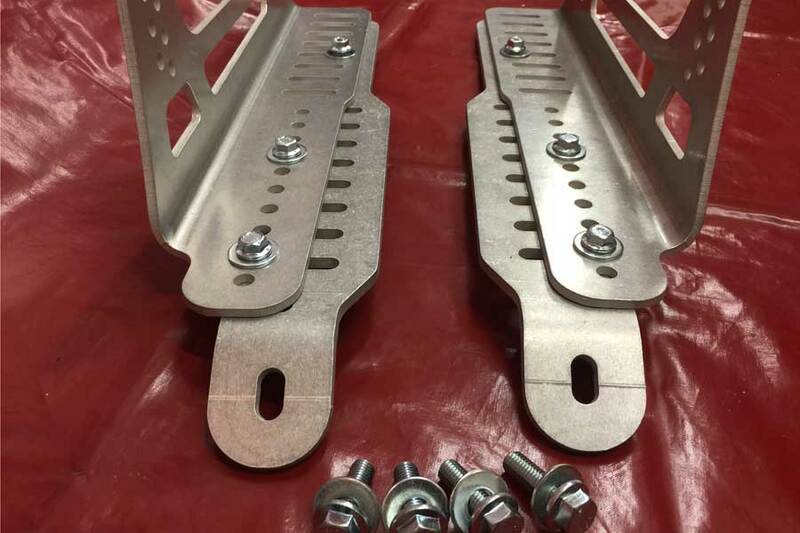 The double hole pattern at the lead edge means you have TWICE the seat angle (tilt) adjustements found on universal side mount brackets. 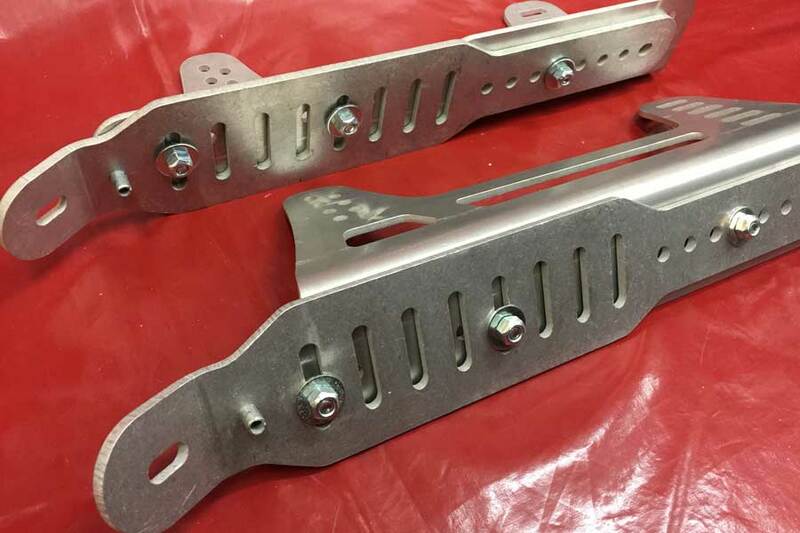 The bases include a shear pin (a Ronin exclusive for side mounts) mimicking the factory mount style. All bends use generous radii to ensure an appropriate load path. Since we know you'll want to show this off we even include new hardware for the floor mount and m8x1.25s to interface to most seats. 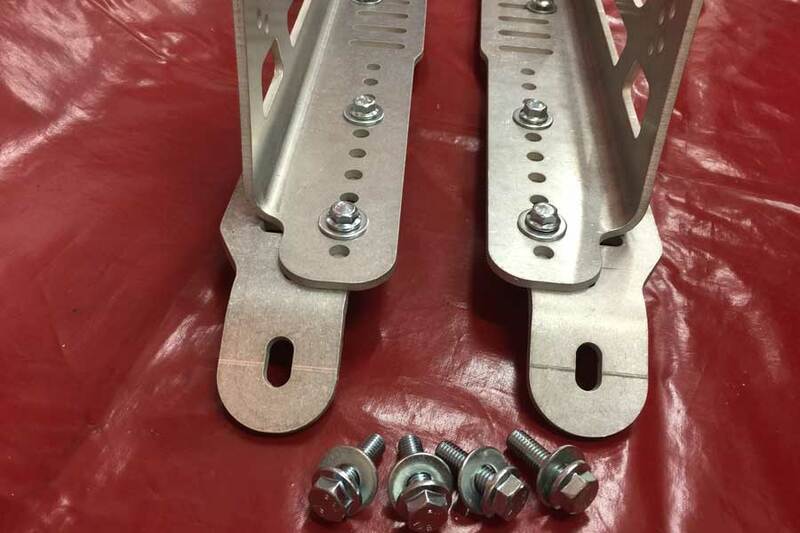 Just in case to optomize your fitment by trimming, these brackets are sent in a tumbled finish/bare aluminum by default. Satin black or red powdercoat may be selected as an option. 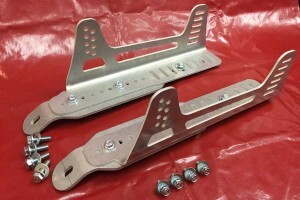 Each set sold includes 2 bases, 2 sides (L&R) and associated hardware. Buy two sets, using the options boxes and save a little coin!